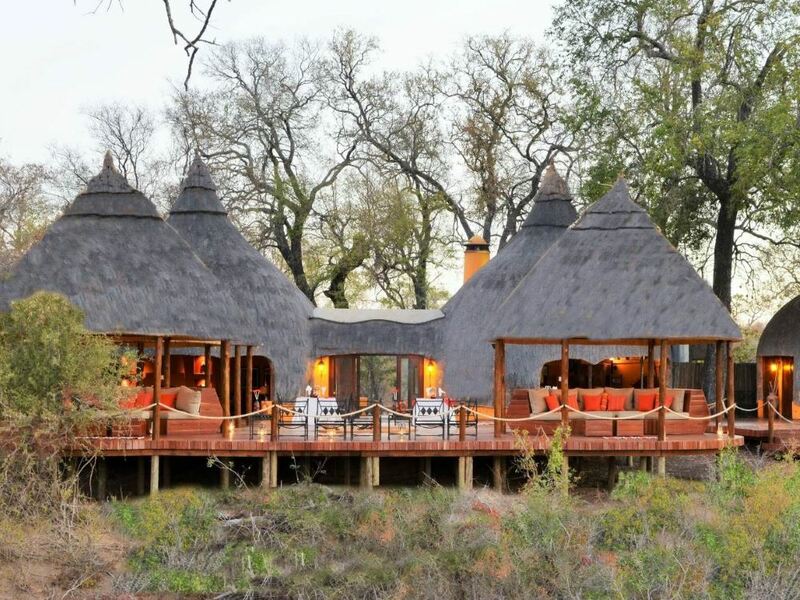 Hoyo Hoyo Lodge is set on the banks of the (usually dry) Mluwati River in the Kruger National Park - an earthy traditional Tsonga styled lodge, it's located on an ancient elephant migration route and offers six beautifully furnished and uniquely styled thatched suites. The combination of the bush, traditional cuisine, the warmth of the hospitality together with the opportunity to witness the lifestyle and culture of the Shangaan people, guarantees an unforgettable safari experience. A brief history lesson may be useful here in understanding the origin of the lodge: the Tsonga people lived in the central and southern areas of Mozambique during the early 16th century - then in the 19th century they settled in the Mpumalanga Province near the present-day Kruger National Park and made a living by hunting and fishing. The Tsonga people are one of the largest groups of people who still live in the Kruger National Park area. The architecture of Hoyo Hoyo Lodge is inspired by the traditional dwellings of the Tsonga tribe – yet they’re an example of ethnic style which also successfully embraces modern day luxuries and convenience. The result is a breathtaking blend of the two cultures juxtaposed! Traditionally, a typical Tsonga homestead unit or ‘muti’ was circular and cylindrical in structure with earth coloured walls and a tapering thatched reed roof. Hoyo Hoyo took its design inspiration from this traditional 'muti' style of the Tsonga people with its six luxury ‘bee-hive’ suites – the fact that they're also air-conditioned is definitely not traditional but nonetheless extremely welcome in the heat of summer! 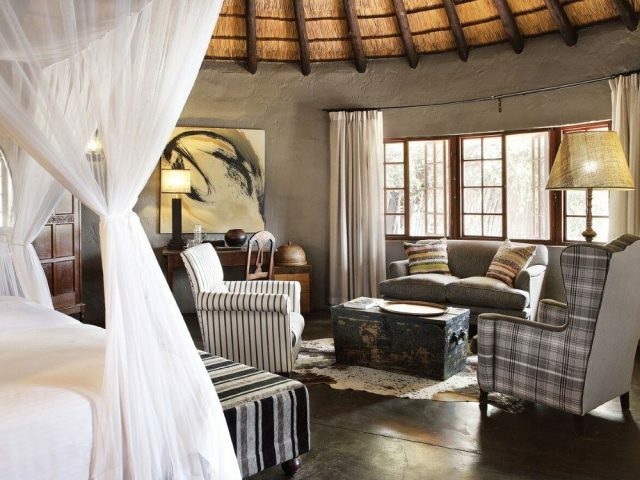 All fabrics, décor and art were sourced from the local Tsonga community and give the lodge a proud tribal identity – Hoyo Hoyo truly offers a unique African chic styled holiday! 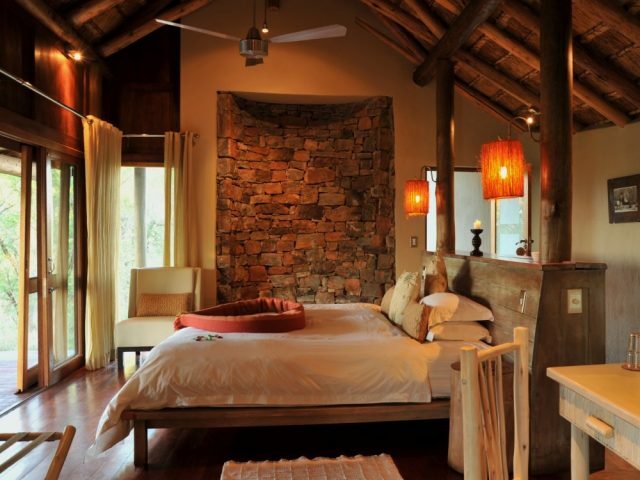 As far as creature comforts are concerned, your hut boasts en-suite bathrooms, stunning outdoor showers, large oval stone baths and your very own private viewing deck, inviting you to sit back and enjoy a chilled glass of bubbles while gazing over the Mluwati riverbed as well as the savannah beyond! 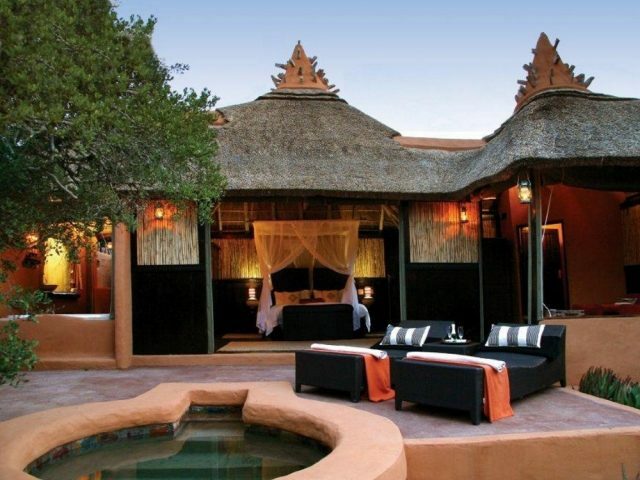 This lodge is managed by the ‘hosi’, the term usually applied to a Tsonga Chief. On arrival you are immediately introduced to the Tsonga ways and their traditional attire – you may even be greeted with a welcome drink in a traditional calabash! You're treated to two game drives daily, which are conducted in open 4 x 4 vehicles with experienced and informative Rangers - alternatively you can take a guided walk.Some of the drives will be on the lodge's own 10 000 hectare concession, where your guide will have the opportunity to drive off road to get you unbelievably close to the wildlife – but others may be in the Kruger Park itself where your ranger will be restricted to remaining on the road network at all times. If that seems a bit too much like hard work then you can either relax on your deck or in the refreshing swimming pool with an ice-cold beer whilst viewing the animals that come to enjoy their own drink at the nearby waterhole. A healer or ‘nyanga’ plays an important role at the lodge providing you with a fascinating glimpse into the history of the Tsonga people. Dancers, singers and all staff members jointly conjure up an authentic African feel – you may end up feeling you have your own deep-seated Tsonga roots! All the professionally trained staff at the lodge come from the local community and interact with you, teaching you the Tsonga ways in a personal manner – usually around a log fire or ‘huvo.’ Dinners are enjoyed in an open air boma, or the lodge's dining area. In fact the lodge offers private dining, if you and your better half would prefer to stay indoors. On your game drives, you will traverse over 10 000 hectares of Big Five country – in fact this lodge lies in the same concession as its two sister lodges, Imbali Safari lodge as well as the renowned Hamilton's Tented Camp. 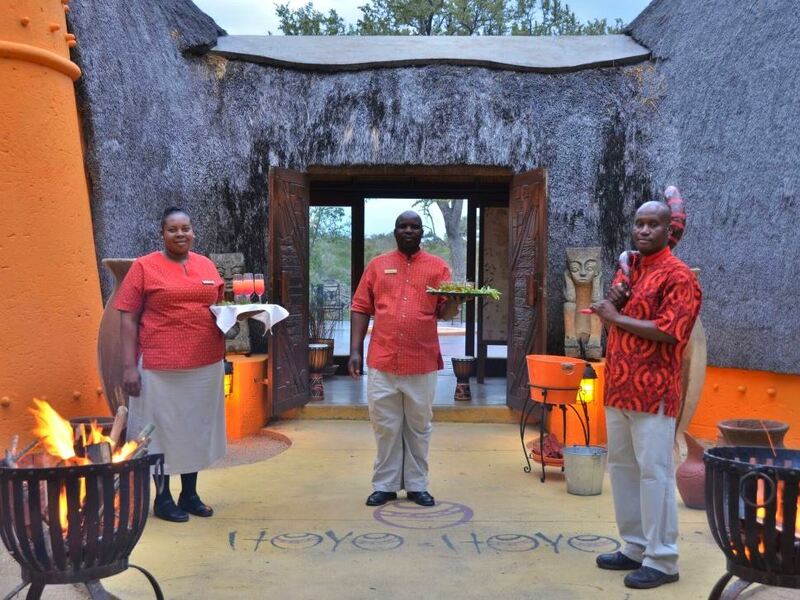 Activities at Hoyo Hoyo Tsonga Lodge are much the same as its sister lodges where you can expect to enjoy bush picnics, bush walks, champagne breakfasts and spa treatments all with a local Shangaan theme! In fact, a great idea may be to split your stay with a couple of nights at Hamilton's in conjunction to your stay at Hoyo Hoyo in order that you get to enjoy 2 wonderfully different and unique experiences!